Home / Team / Congratulations Courtney! Courtney daSilva wins 1st Place AA in the IGC Gold Regional Championships! IGC Regional Championships were held May 27-29, 2016 at the Wildwood Convention Center in Wildwood NJ. 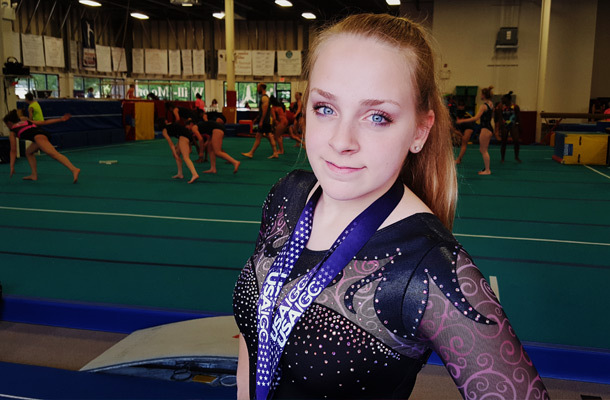 Courtney from Eastampton NJ, attending high school at Burlington County Institute of Technology has been an IGC gymnast for many years and has seen her shares on medals. Now Courtney gets to add Regional Champion to her list! She brought home the gold in the Gold division but also took 2nd on Uneven Bars, 3rd on Balance Beam and 5th on Vault & Floor. Courtney, as well as 9 other of her teams mates, will be competing at IGC World’s in Orlando, FL which will be held the end of June into July.